Use UK laptop / notebook in US and Europe - PC Buyer Beware! Use of UK laptop / notebook in US and Europe: I will have to use my laptop computer when I travel to the US and Europe from the UK. Are there any important considerations that I should know about in order to be able to do that? 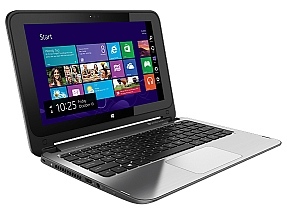 There are several considerations with regard to the use of UK laptop / notebook in US and Europe. You shouldn’t have a problem charging the laptop in the US or Europe, because the power supplies on most laptops can accept 100 – 240V at 50Hz or 60Hz. However, make sure by checking the label. It has become more difficult to take a laptop through airport security. You might have to switch it on to prove that it is a working computer, not a disguised bomb. Moreover, you might have to prove that your laptop is not new to avoid having to pay duty on it. Take the purchase document with you for that purpose. There are some good tips in the comments. You can use a laptop on a plane, but, unless informed otherwise, you should disable its wireless network adapter, because you don’t want to log on to other laptops wirelessly and you don’t want other laptops logging on to yours. Moreover, many countries do not allow passengers on aircraft to use devices that transmit signals in case they interfere with the signals used by the aircraft. You can disable a laptop’s built-in Wi-Fi external USB Wi-Fi adapter in the Windows 7 Network Sharing Center in the Control Panel. In Windows 10, all of the network adapter settings are under Start => Settings => Network & Internet. Network & Internet provides a Wi-Fi section that shows the available wireless networks and Airplane Mode. When enabled Airplane Mode disables the laptop’s Wi-Fi and Bluetooth signals. Note that the laptop’s warranty might not allow it to be serviced outside the UK, so check with its manufacturer before you go abroad. Below is a link to the information that HP provides on its global warranties. Your laptop manufacturer should provide the same kind of information on its website. You should also have sufficient travel insurance to cover the value of the computer in case it is stolen, lost or damaged. ← Prevent online tracking, giving away your location, etc.